The demand for pharmaceutical services has exploded in recent times resulting in the significant expansion of pharmacies throughout the country. In order to support this growth, a relatively new occupational area, Pharmacy Technician, has evolved. Pharmacy technicians work under the direct supervision of a licensed pharmacist and perform many pharmacy-related functions. 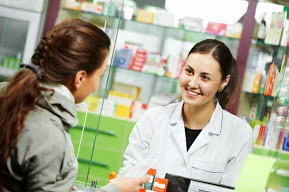 They refer any questions regarding prescriptions, drug information, or health matters to a pharmacist. Pharmacy technicians work in a wide variety of practice settings including community pharmacies, hospitals, the military, in-home health care settings, long term care facilities, mail service pharmacies, managed health care organizations, and educational programs. In recent years, hospitals in the United States have identified the need for improved procedures for the sterilization of surgical instruments. Inadequately sterilized surgical instruments can result in infections and even death. The International Association of Healthcare Central Service Material Management (IAHCSMM) has established standards for proper instrument sterilization procedures and created a certification and associated examination to demonstrated competencies in this area. Although certification is not currently required for employment in this field, there is legislation pending in most states with the intent of requiring such certification. For more than 10 years, Martinsburg College has been proudly serving all branches of the military, including the Army, Marines, Navy, and Air Force, as well as the military community including veterans and military spouses. Our online health care certificate program is ideal for students seeking opportunities in the growing health care sector. ‘Click Here’ to contact us today.